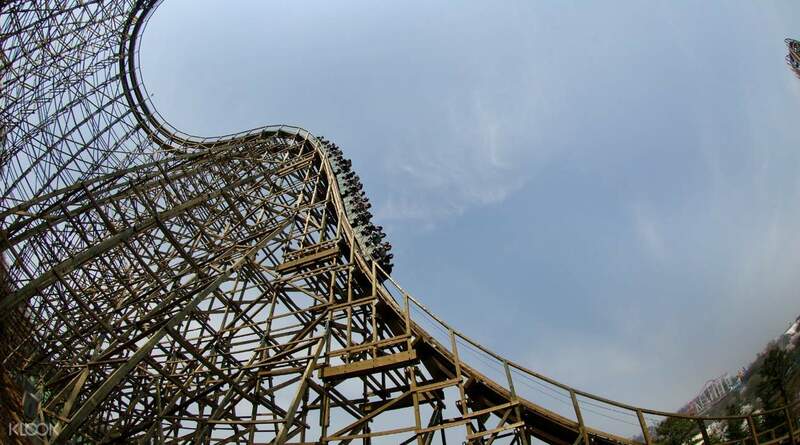 Feel the rush of adrenaline on South Korea's first wooden roller coaster! we stayed for the whole day and it's filled with fun things to do even though we were idle for 2 hours because we didnt understand the layout of the park. the animal shows were amazing, they were able to train them so well!! we stayed to watch all of the night shows and they were all very very fun and interesting. the day we went wasnt optimal for seeing flowers though... later april has more flowers. 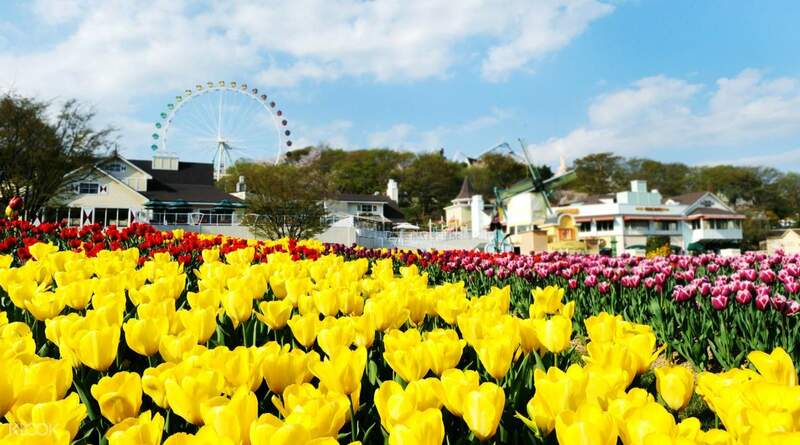 Get Everland tickets and enjoy an adrenaline fuelled day at Everland – one of South Korea's biggest and most exhilarating amusement parks. Twist and turn down the world's steepest wooden roller coaster if you dare, and spend the afternoon enjoying other rides guaranteed to give you the ultimate full throttle amusement park experience. Ease down gently by strolling down the park's immaculately kept gardens and take in some of the park's parades and live music before heading back to the bright lights of Seoul. 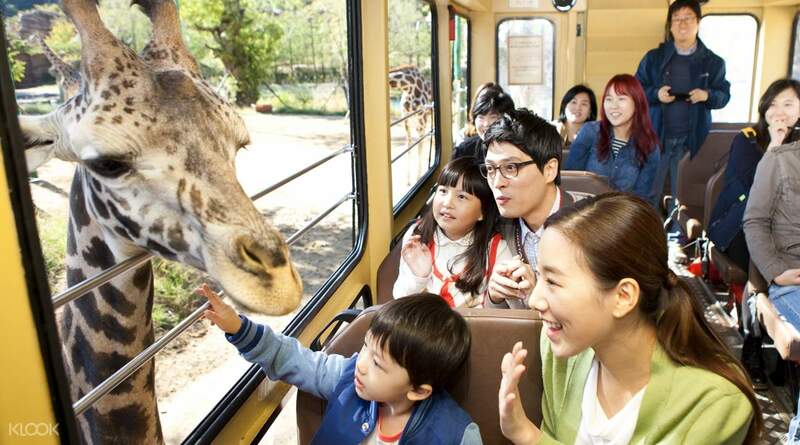 With an Everland one day pass, you can experience a fun day with your family and friends! No need to redeem your klook voucher anywhere. Just present your voucher at the entrance and your in. I have been to HK Disneyland, Disney Sea in Tokyo and Universal Studios in Japan and to date Everland is my personal favorite. Not because of the thrilling rides but because of Zootopia. Best two are Lost Valley and Zafari World—-Animals here are not caged. They can roam around their specific areas. Well fed (their bodies will speak for it). Also, some of the animals that can be seen here are really one of a kind. Just search their official website for the list. Plus points for us when we were able to experienced a full bloom cherry blossom when we visit here last April 16, 2019. No need to redeem your klook voucher anywhere. Just present your voucher at the entrance and your in. I have been to HK Disneyland, Disney Sea in Tokyo and Universal Studios in Japan and to date Everland is my personal favorite. Not because of the thrilling rides but because of Zootopia. Best two are Lost Valley and Zafari World—-Animals here are not caged. 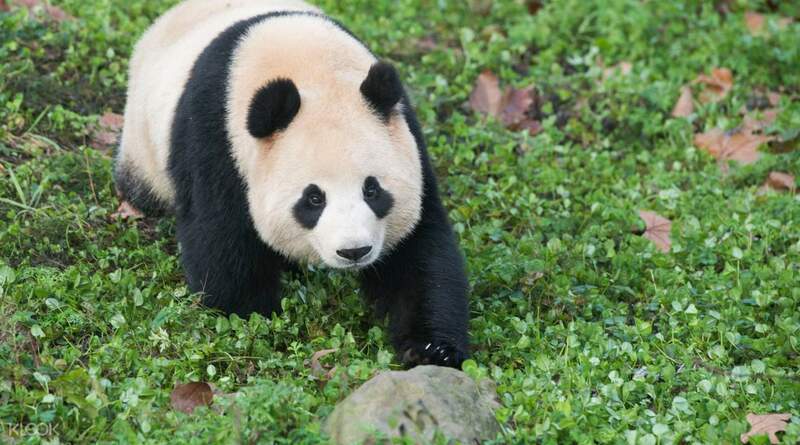 They can roam around their specific areas. Well fed (their bodies will speak for it). Also, some of the animals that can be seen here are really one of a kind. Just search their official website for the list. Plus points for us when we were able to experienced a full bloom cherry blossom when we visit here last April 16, 2019. 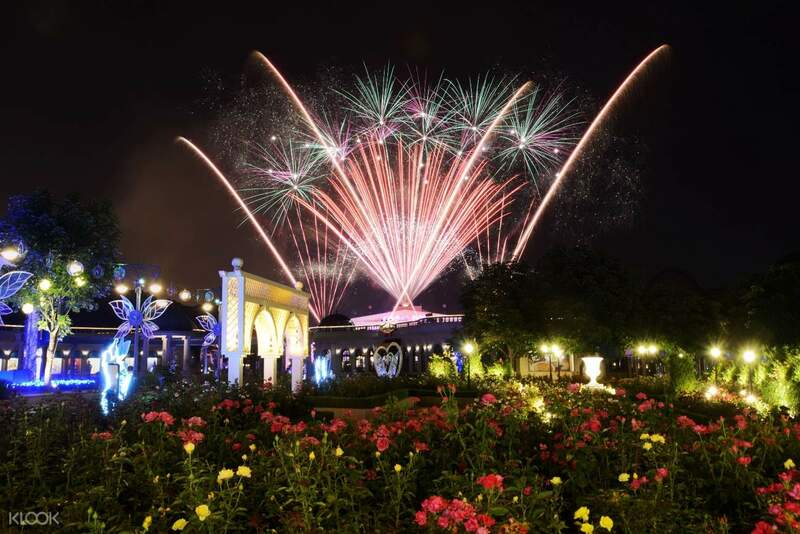 Booking your Everland tickets has never been easier. Just show the QR codes at the entrance then you’re good to go! And it’s cheaper, too! Don’t miss the safari ride and the seasonal flowers on display. We were able to see the Tulips Festival and it was amazing! Booking your Everland tickets has never been easier. Just show the QR codes at the entrance then you’re good to go! And it’s cheaper, too! Don’t miss the safari ride and the seasonal flowers on display. We were able to see the Tulips Festival and it was amazing! Price of the ticket is a very good deal and there was no problem upon entry. There are many rides to choose from either for children or adults. Staff were friendly and environment was clean. 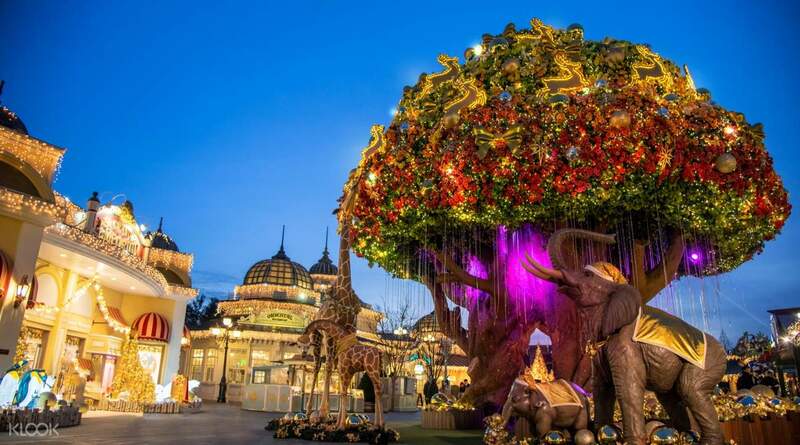 However, if it is still available, I recommend you to buy the ticket that also offers a roundtrip shuttle bus from selected locations near your hotel to Everland so that there won’t be any hassle in transportation. Price of the ticket is a very good deal and there was no problem upon entry. There are many rides to choose from either for children or adults. Staff were friendly and environment was clean. However, if it is still available, I recommend you to buy the ticket that also offers a roundtrip shuttle bus from selected locations near your hotel to Everland so that there won’t be any hassle in transportation. It's good that I booked this ticket. It saves me alot of time for lining up in T-Express ride. When i went there it shocked me that there alot of people lining up but when I showed my ticket it seems that I looke a VIP because of this ticket. Thumbs Up!!!! It's good that I booked this ticket. It saves me alot of time for lining up in T-Express ride. When i went there it shocked me that there alot of people lining up but when I showed my ticket it seems that I looke a VIP because of this ticket. Thumbs Up!!!! Everland is a great place to spend the day if it's not raining since most rides are outdoors. I would recommend booking here to have a hassle free experience. You simply present your phone with voucher and that will serve as your pass. Everland is a great place to spend the day if it's not raining since most rides are outdoors. I would recommend booking here to have a hassle free experience. You simply present your phone with voucher and that will serve as your pass. It was easy to enter Everland with these tickets, just got to scan at the entrance, totally hassle free. Be sure to plan your trip around Everland. It was impossible for us to explore the entire Everland within a day though the queues for rides were considered shorter than usual(Friday), only queued an hour for T-Express. It was easy to enter Everland with these tickets, just got to scan at the entrance, totally hassle free. Be sure to plan your trip around Everland. It was impossible for us to explore the entire Everland within a day though the queues for rides were considered shorter than usual(Friday), only queued an hour for T-Express. Q: I booked tickets under my name for a group of friends. The vouchers I received have the same traveler’s name, but different code numbers. Will this be a problem when entering the park? A: The park only requires a unique QR code for each entry. The names on the QR code do not matter. Please present all the QR codes when entering the park. Q: Is the animal feeding part included in this admission ticket? Or do I have to pay an extra fee? A: Animal feeding is not included in this ticket, and you will need to purchase animal food on spot. Please note that not all animals are allowed to be fed. Kindly take note of the regulations.